Many of us have been questioned about the game that we have a passion for… the 64-square battle we call chess. What is chess? Is it a sport, a science, an art, or a game? Depending on who you're talking to, your answer may take one of the four angles. 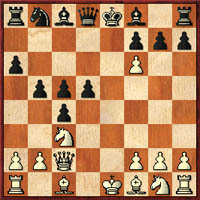 Jesper Hall of Sweden writes a very interesting article in New in Chess (2002, No. 5) titled, "Chess and War." It is based on a conversation he had while riding in the dining car of a train. An older gray-haired man approached him as he unfolded his pocket set and asked him the immortal question, "What is chess?" Hall gave a trite answer, but soon learned that this person is no intellectual patzer. The man, it turns out was a retired Swedish officer in the Army! "But it was not the result that caught people's eyes, but the way he got it. He present a complete repertoire of totally unknown openings that gave the other top players a good laugh until thy ran up against them themselves. One after the other they had to resign, and even in the post-mortem the openings proved hard to crack, however outlandish they looked." The article is an interesting read and draws heavily on the history of warfare tactics and discusses types of strategies and how they were implemented in battle… the Sicilian Dragon was even mentioned. If nothing else this article gives us a litany of information to share with one who thinks of chess as a mere game. Surely, they are wrong… chess IS war! !